Improve our leadership performance, financial health, organizational structure, and strategic planning. Ensuring that all responsible engaged community members are recognized as part of our organization and given a voice in decision-making processes. Review, and revise as needed, our organizational structure; including our bylaws, hierarchy, operating policies and procedures, and performance/accountability metrics. Commit to an ongoing strategic planning process that includes regularly creating, reviewing, evaluating, and revising short- and long-term goals. Create an Islamic environment that fosters the development and engagement of our community. Developing the good character of our community members. Provide training in life skills for all segments of our community. Life planning, financial planning, and retirement planning for older community members. Outreach skills (how to share the faith of Islam). Enhancing trust and cooperation between our people and our leadership. Increasing the ratio of volunteers to employees. Leadership Goal III: Benefit Our Society. Engage with and contribute to our larger society. Citizenship activities and civil engagement, such as voter registration, immigration issues, and issue advocacy. Supporting other Muslim organizations that are in line with our mission. Making referrals to other relevant agencies, such as the Family Care Committee (for home and hospital visits) and the Social Services Department. Leadership Goal IV: Grow our youth. Invest in our youth and plan for our next generation. Produce future leaders by implementing character development programs to develop our youths’ leadership abilities, morals, and manners. Empower our youth to be active and positive participants in their Muslim community and our greater society. Provide the youth with opportunities to plan, develop, and implement programs that bring them closer to Allah and serve the needs of their community. Leadership Goal V: Be a diverse community. Ensure and expand our diversity. Different skill sets and disabilities. Ensure diversity in the membership of our boards and working committees, especially to include women and youth. Ensure the engagement of women; youth; the elderly; and diverse national, ethnic, and language groups in the planning, implementation, and evaluation of our programs. Ensure our facilities accommodate the needs of women, youth, the elderly, and members with special needs. Renovating and improving the sisters’ areas to make them more accommodating. A physician and university professor. He is a father of four and lives with his wife and family in Fairfax,VA. He has been active in the Muslim Community since 1997. He was the President of the MAS chapter in Philadelphia, PA, then head of the managing council of the first Muslim Youth Center in the USA in Brooklyn, NY before he moved to northern VA in 2003. Dr. Mohamed lead the MAS DC chapter from 2004-2010 where he helped in growing the chapter and worked with the youth, tarbiya and outreach committees. 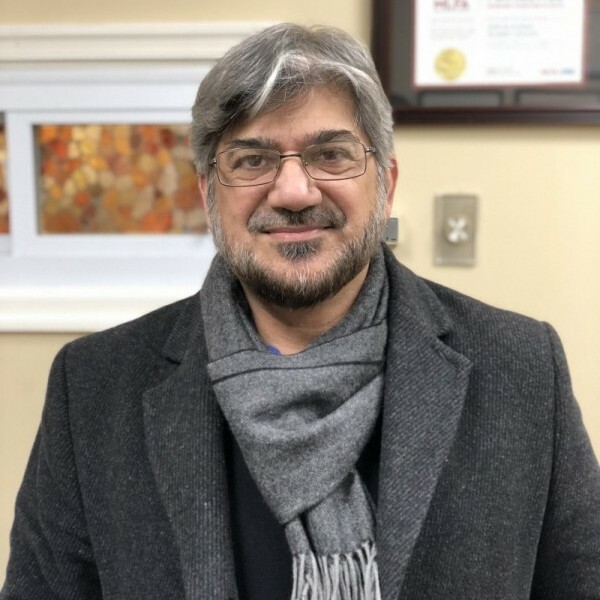 Since 2010 he has dedicated his dawa time to serve Dar Al-Hijrah Islamic Center as the Chairman of its board, and currently is representing it on the Virginia Council of Muslim Organization’s. 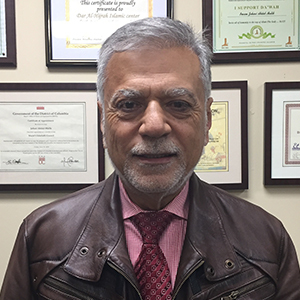 Mr. Hossein Goal holds numerous degrees including a Bachelor of Science in Management, a Bachelor of Science in Civil Engineering and a Master’s degree in Structural Engineering. Mr. Goal is the president of Metropolitan Property Management Inc, and has an active Real Estate License. He is active in community service and volunteers his expertise to numerous non-profit projects. He has always been engaged in community and charitable work. After the tragic events of 9/11, he dedicated himself to serve as ambassador to the greater community with his knowledge of the two cultures; Middle Eastern and American, in order to build bridges of understanding. In response to the community’s needs, he began working with elected officials and local leaders from mosques, churches, synagogues and other houses of worship to help faith groups address their fears and to build trust in our diverse communities. He has established many successful programs which continue to bear the fruit to this today. Allam Al-Alami is currently serving as the treasurer of Dar Al-Hijrah. He is a certified professional in the field of Project Management (PMI) with a wide range of experience in management, acquisition planning, financial tracking and project execution. Additionally, he has over 30 years of working experience in the construction industry for both the private and public sector. Dr. Ahmed Hassan is one of the original founders of Dar Al-Hijrah Islamic Center and established the first Quran School. He is currently the Vice Chairman in the Board of Directors and serves as the Chair of the Education Committee. Dr. Hassan is a professor in mathematics at Howard University. Previously, he taught at Trinity University and DeVry University in D.C.. Dr. Hassan teaches a Tafseer class that is open to the community every other Sunday. Additionally, he has taught Fiqh and Seerah in the Somali language. Akram Elzend is a Doctor of Physical Therapy who is an entrepreneur who has served on many both executive and board levels during the past 15 years. He graduated from a physical therapy program in 1994. He has Co-Founded several businesses of which most importantly is a home health agency, that is serving the residents of DC metropolitan area by offering quality care at home. 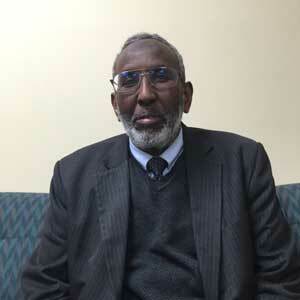 Dr Esam Omeish is a member of Dar Alhijrah since its inception. He was a former vice president of Dar Alhijrah. He is a former president of the National Muslim Students Association of the US and Canada (MSA) and a former president of the Muslim American Society (MAS). He is the chief of General and Laparoscopic Surgery at INOVA Alexandria Hospital. Dr Omeish ran for public office as a delegate in a Democratic primary from the 35th district in Virginia for the General Assembly in 2009. He is a graduate of Georgetown University where he completed his undergraduate and medical studies in 1993. 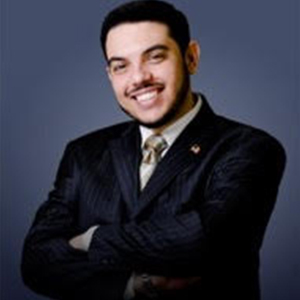 Essam Tellawi, graduated from Damascus Medical College, He currently has a private practice in Clinton, MD and Mt. Vernon, VA. He received diploma for admission in masters from AIU, College of Sharia, and is finishing Masters degree from Mishkat University. He was the President of the Clinton Muslim Community in Clinton, Imam of ICNA Clinton, member of the DAH Board of advisers, Instructor at AIU and Qubaa institute. Has been a community member for over 30 years. 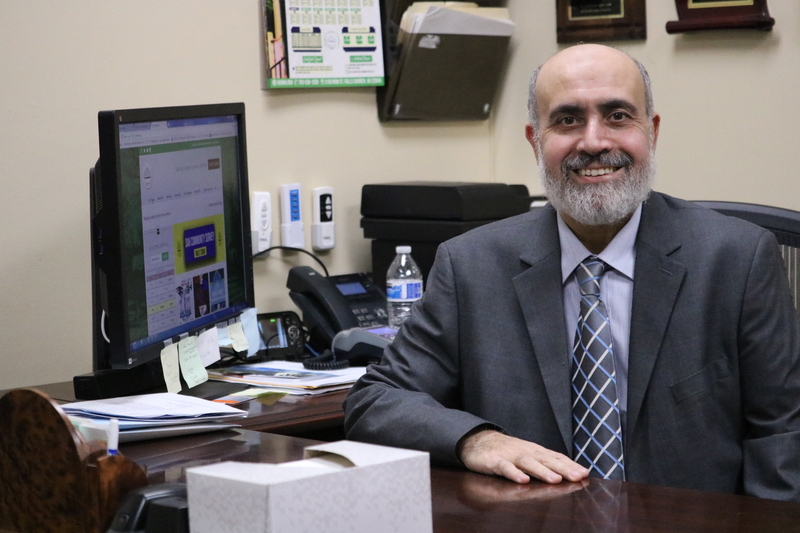 Mr.Soltani has been a member of Dar Al-Hijrahs Islamic community center since 1995. He has been working with Dar Al-Hijrah and other local masjids in the metropolitan area to unify the community. He works behind the scenes to organize and manage ramadan iftars and Eid celebrations at Dar Al-Hijrah for over 13 years. He is a delighted father of 3, David, Joseph, and Adam. He had studied under the late Sheikh Muhammad Al- Hanooti for the past 15 years leading up to his death. He works tirelessly with interfaith groups to help spread the word of islam to people, especially youth because he believes they are the future of the islamic community. 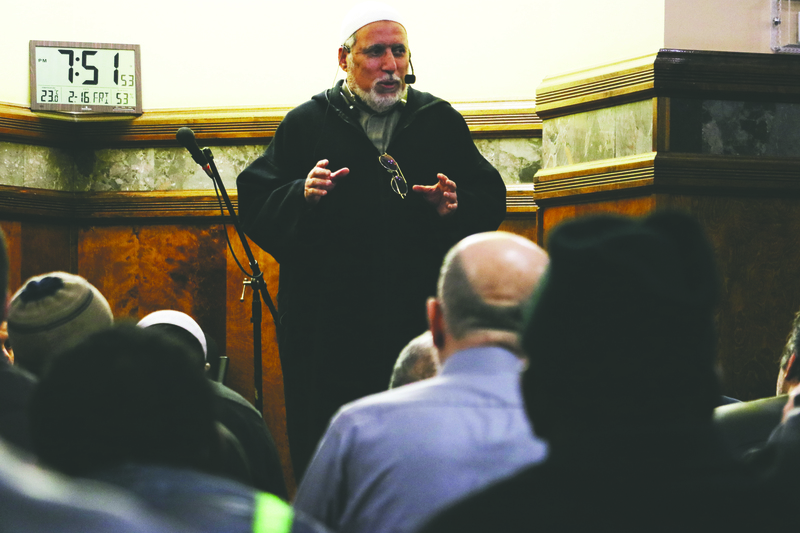 Samir Abo-Issa is currently the Executive Director of the Dar Al-Hijrah Islamic Center. 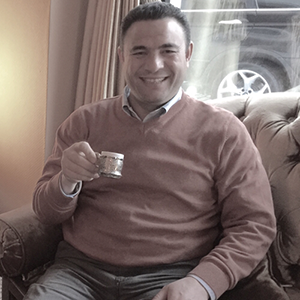 Mr. Abo-Issa has been working with Dar Al-Hijrah since March 3rd, 1992. He holds a B.S. in Electrical Engineering, B.A. in Islamic Studies, and MBA in Human Resources. He has attended classes and received training regarding non-profit organization management, resource development, and fundraising. As the Executive director of Dar Al-Hijrah, He has established a comprehensive infrastructure set on specific policies and clear procedures. Through this infrastructure, Mr. Abo-Issa has successfully managed employees and organized them in a way where the center now has multiple departments and an abundant amount of staff at the service of the community. Alongside that, Mr. Abo-Issa has been successful in obtaining funds through resource development and key networking. Not only has he created, managed, and obtained funding for the infrastructure built for the center, he has also protected it through complex and thorough risk management. Since 1972, I worked as a teacher, a volunteer Imam of the Local Jameyyah ShareyyahMosques, Cairo Egypt, an Imam of the Islamic Center, Wash. D. C., Taught Islamic Studies at the LIR Institute, the American University, Washington D. C., Principal K-12 school, Director of Education at Islamic Society of North America (ISNA), the Founding President of the American Egyptian Council, and the Secretary General of the Muslim American Society. Since early childhood, Sr. Tahani Jabarin has had a passion for serving others and has consequently dedicated her life to bettering her community by providing any and all aid she could offer. Having been raised in Palestine in an incredibly diverse community. 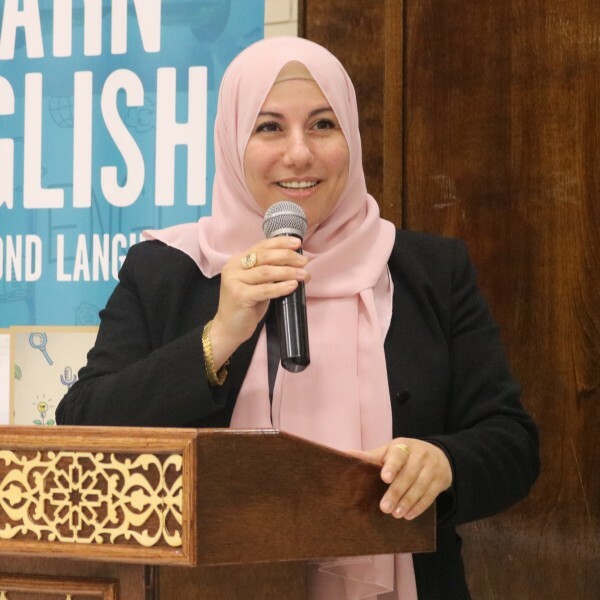 Sr. Tahani merged her knowledge of interfaith Palestinian society with American ways of life, immersing herself in both cultures and drawing on her knowledge of these countries’ values for inspiration in her career. 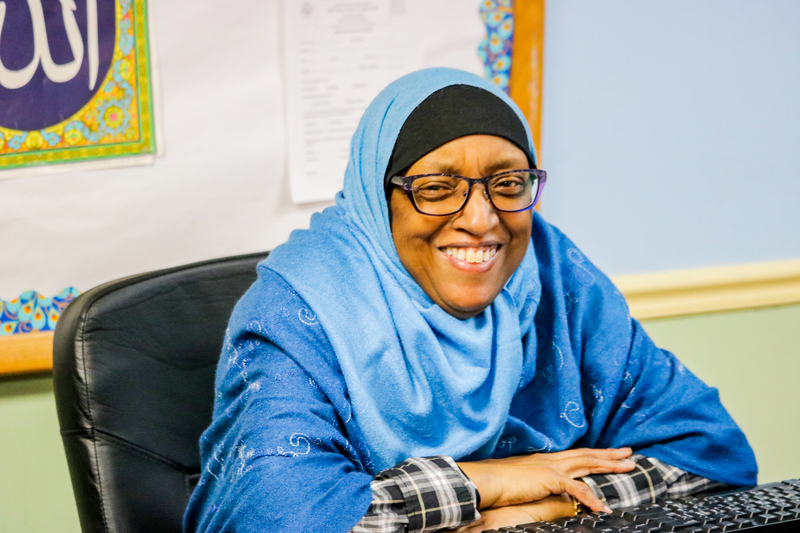 Sr. Tahani has been a part of the Dar Al-Hijrah team since 2002. She is currently serving as the director of the Social Services department. With almost 20 years of experience in social work, she has directed special attention in recent years to empowering the women of our community, as she strongly believes in the vital role they play in society. She has been working with other organizations and using her characteristic skill of foresight to launch programs aimed at helping women attain self-sufficiency. In addition to empowering women, she has an ambitious vision of connecting all the interfaith elements of our society so we may build a strong, diverse community. She is happily married with five children who look up to her and the work she does. Former President of Islamic Circle of North America, ICNA, a grass-roots Muslim American organizations with over 40 chapters. He is Director of Interfaith Alliances. 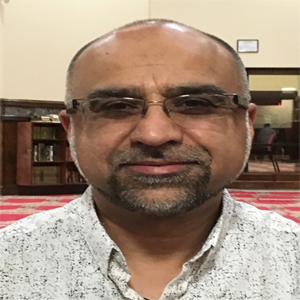 Mr. Baig serves as the co-chair of the ‘National Muslim-Christian Initiative’. He also serves as the Muslim Coordinator for the ‘Catholic-Muslim Mid-Atlantic Dialogue’, which takes place every year between Catholic Bishops and Muslim Leadership in America. Mr. Baig is serving as the National Moderator for ‘Religions for Peace USA’. He is member of the board of ‘Interfaith Workers Justice”. 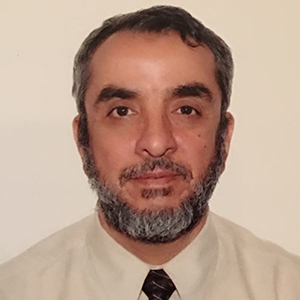 Saif Rahman serves on Board of Directors of The Family and Youth Institute. He grew up in Northern Virginia and graduated with a Bachelors in International Relations from the University of Maryland, College Park. In addition, he has completed Master’s level work in Arabic and Islamic jurisprudence (Fiqh) while living in Cairo, Egypt. Saif is a successful entrepreneur and currently serves as the Vice President of IWG and a Partner in JR Real Estate Group. 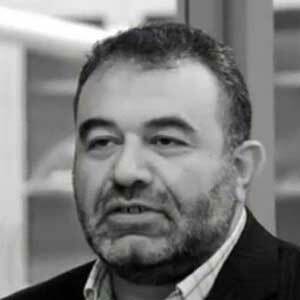 He has held senior posts in the Iraqi government, including Advisor to the Vice President of Iraq (2009), Chief of Staff to the Speaker of Parliament (2005), Chief of Staff to the Minister of Industry & Minerals (2004) and the Director General of Research Directorate (2005-2007), for which he has won numerous regional awards. 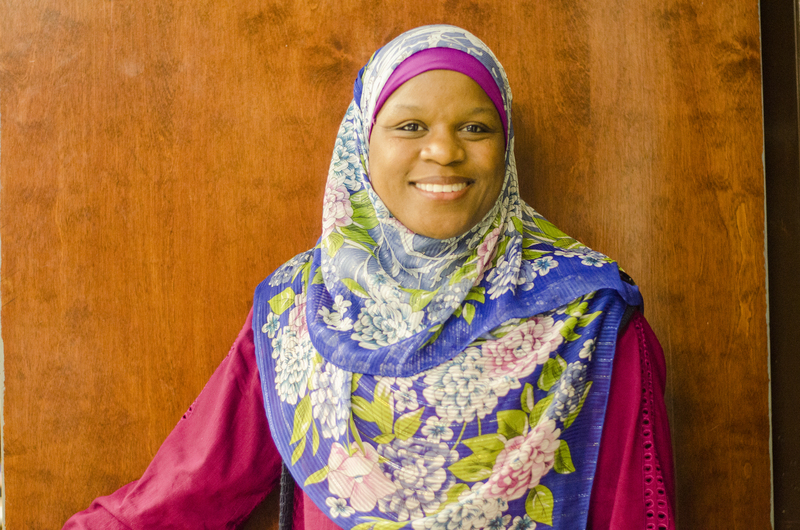 Saif Abdul-Rahman is married and has four children and is currently living in Falls Church, VA.
Ieasha Prime is a traditonal Islamically trained educator, activist and public speaker. She studied Arabic and Quran at the Fajr Institute followed by general Islamic studies in Cairo, Egypt. After two years in Egypt, she moved to Hadramaut, Yemen and enrolled in Dar al Zahra, an Islamic University for Women. There she studied Aqeedah, Quran, Hadith, Arabic, Jurisprudence (Fiqh), Islamic law, Purification of the Heart and other religious related learning. 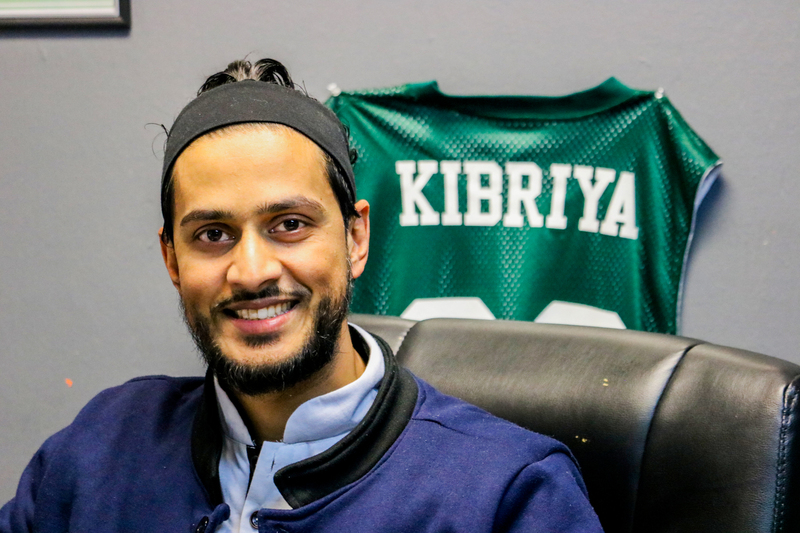 Mohammed Kibriya is currently the Youth Director of Dar Al-Hijrah Islamic Center. He has been actively involved with youth work for the past 10 years. He was one of the founders of Youth of Ummah, a youth organization in Detroit. 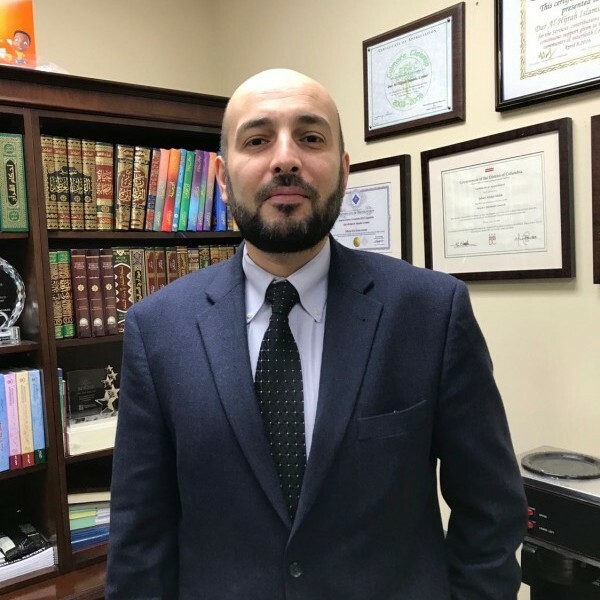 In 2013 he served as a board member of Green Muslim in D.C. Mohammed earned his bachelor degree in criminal justice from Ferris State University in Michigan. 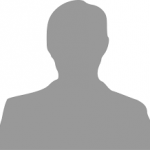 He began his career as a Business Analyst before joining Dar Al-Hijrah in 2014.